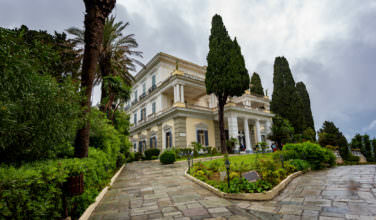 Rhodes is one of those islands that seems to captivate its visitors. Aside from the fact that it does have its roots in Ancient Greece, it also has a Medieval tradition. As the seat of the Knights of Saint John, Rhodes played an important role in the history of Europe as a whole during the Middle Ages. Salakos village is about 40 kilometers or so away from Rhodes town, the main town on the island. Before you can actually head to this village, however, you need to make your way to the island itself. Since it is a larger island it is possible to arrive here by cruise ship, airplane, or ferry. 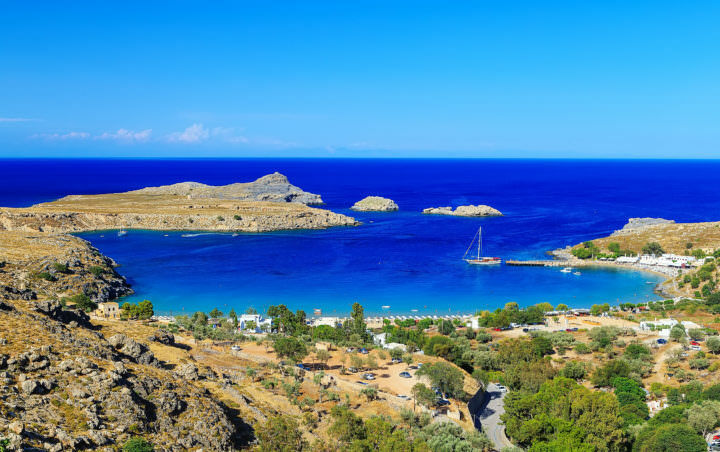 However, if you want to spend an extended period of time on Rhodes, you won’t be able to see much if you take a cruise. You likely won’t have time to head to Salakos village on a cruise, either. For those who are on Rhodes for more than a few days, however, you can easily carve out time to spend in Salakos. You can arrive here either by car, taxi, or even public bus. It all depends on where you are staying on the island and how long you plan to spend in the village. Although this village may not be on the top of your list to visit while on the island, you should try to find some time to spend here. Located south of Rhodes Town, this pristine village does see a tourist trade during the peak season. One of the reasons why people head here is because it is a serene and relaxing place, filled with gorgeous scenery, friendly locals, and excellent food. You will notice while you’re here that there are walnut trees all over the village. If you have the chance to eat while here, you may see dishes with walnuts. Salakos Village is known for its walnuts and the locals tend to include walnuts in their foods whenever they can. Besides enjoy the local culture and cuisine, there are a few things that you can do here. This is one of those places that really dos have a strong tie to Ancient Greece and there are plenty of ruins here to visit. Visitors can head to the ruins, which are said to originate during the Hellenistic Period of Ancient Greece. The area also has some churches that are said to have come from Byzantine times. You can also spend time exploring the historical Cave of Makarouna. Although it isn’t quite in the village, it is nearby and absolutely worth a visit. 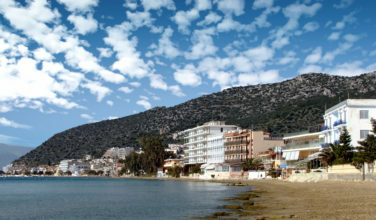 While on Rhodes, you should consider taking a trop to Salakos Village, which is an easy distance south of Rhodes Town.